Heads up if you have purchased Kraft Macaroni & Cheese recently! 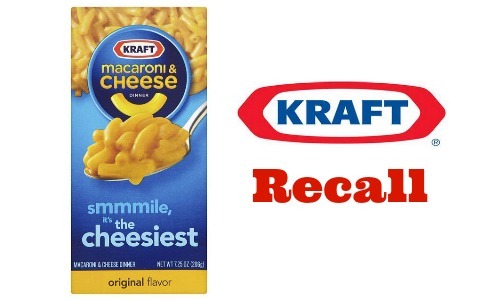 There is a Kraft macaroni & cheese recall on 6.5 million boxes of macaroni because some boxes have contained small pieces of metal. Whether you have purchases the single box, 3-pack, 4-pack or even 5-pack of pasta recently, be sure to call Kraft Foods Customer Relations. You can reach them at 1-800-816-9432 between 9AM and 6PM EST to get a full refund. If you prefer, you can also return the product to the store at which is was purchased.